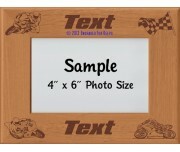 This frame will catch the eye of your drag racer! 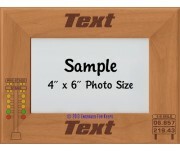 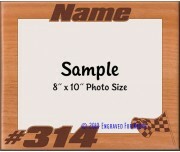 The name is engraved with a racing style font and cut along the top of the frame. 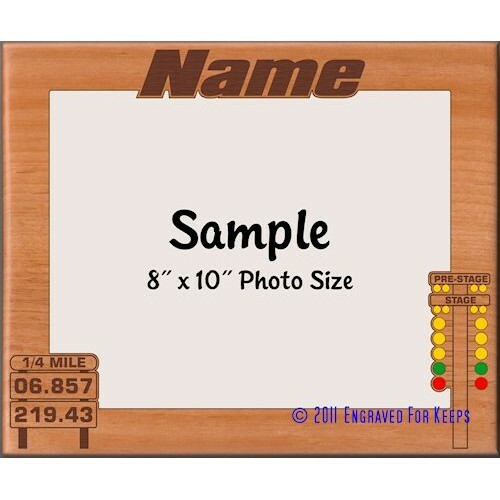 The Score Board is engraved and cut along the lower left of the frame and shows the drag racer’s Elapsed Time and Speed (MPH) for either 1/4 mile or 1/8 mile drag racing. 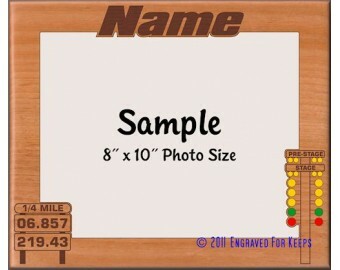 The yellow, red and green "Christmas Tree" pre-stage and stage lights are engraved and cut into the lower right corner of the frame.